Many of the grocery items we buy, it turns out, come equipped with clever packaging designs that most consumers don’t even know about. 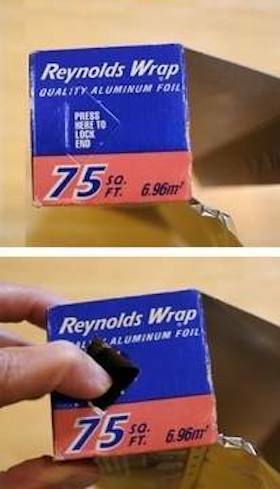 Most aluminum foil boxes have press-in tabs that keep the roll from rolling out of the box. Soda “pop tops” can double as a straw holder. Juice boxes actually come with tabs that keep the drink from shooting out of the straw. One Facebook fan even contributed her own product tip: Entenmanns cake boxes have “a little triangle that’s left after you tear it open — a makeshift knife.